The King Fahad Printing Press produces about 10 million copies a year and has published 55 different translations of the Qur'an in 39 languages. 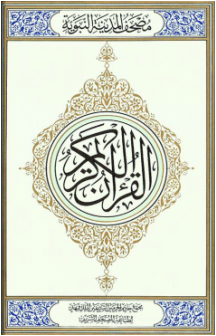 Its website also offers reading Qur'an online, listening to recitations, textual search, translations, images of early Qur'an manuscripts, and exegetic commentaries. Since 1985, The Complex made over 128 million books of the Qur'an which is a great service to Islam. Original copy was written by calligrapher Uthman Taha.